In the past 15 years the most profound advancements and changes in equine medicine have come in the field of dentistry. From the 1800’s till the early 1990’s there was little change or advancement with dentistry in spite of radical changes in all the other medical and surgical fields. Basically, in the past, a horse never had its teeth “floated” till it was old, losing weight and obviously had difficulty chewing. By that point in its life it likely had severe dental abnormalities and the practitioner’s expertise and tools were inadequate to alleviate those problems. Fortunately, for the horse, this scenario has dramatically improved over the past 15 years. We now have completely shifted to preventative maintenance rather than reactionary dentistry. The primary goal of any dental intervention is to improve the quality of life of the horse in question. The two main areas of concern are function and performance. From a functional stand point we look at things like bite plane, lateral excursion, and molar occlusion. These are fancy terms to describe how efficiently and comfortably your horse is able to chew its food. From a performance standpoint we want to do everything we can to make your horse as comfortable as possible when it has a bit in its mouth. Our ultimate goal is to provide you with a healthy, happy horse that can reach its full potential. By doing that we want to prevent future problems from coming up and we want to optimize life span. To accomplish these goals we have made a significant investment in both equipment and learning. Our doctors are constantly upgrading their knowledge base through certified continuing education and case discussions amongst themselves. It is our firm belief that it does not matter what kind of tools you have, you must first know how to use them. To be able to put our knowledge and skills to the best use, we have invested in the best equipment available. Our doctors have a wide array of both hand and power tools at their disposal. 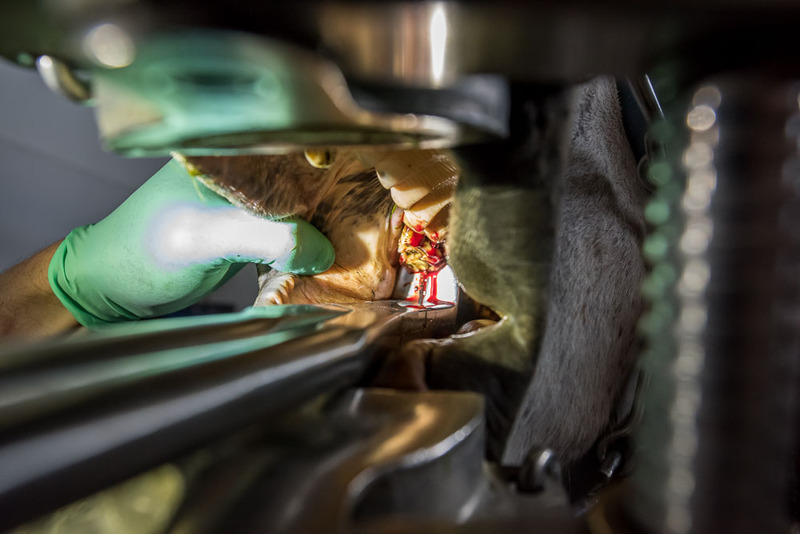 Obviously there is much more to dentistry than just “grinding on teeth.” Because of that we also have digital radiography, extraction equipment, and lab analysis so that we can effectively diagnose and treat any oral issue your horse may have. Finally we have also invested in two portable stocks. This allows us to provide the same safety, stability and comfort for your horse in the field as we can do in the clinic. 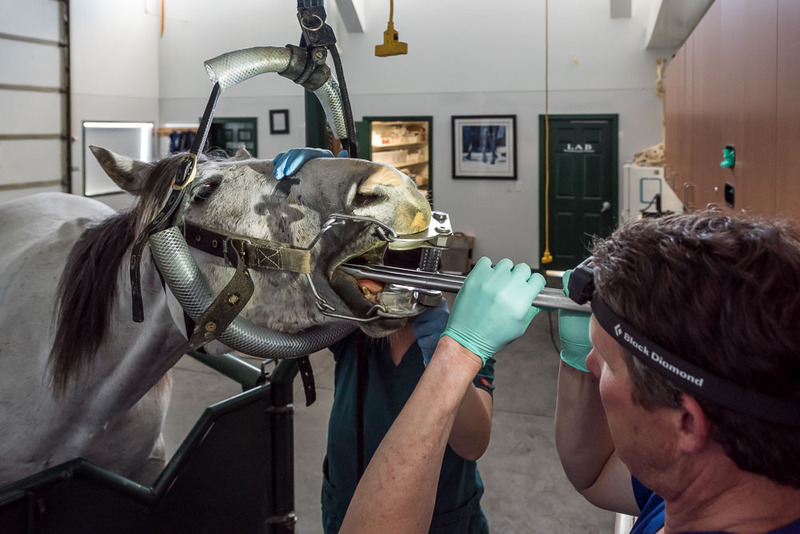 We appreciate the opportunity to attend to your horse’s dental needs. We have doctors that are passionate about dentistry and strive to provide the highest level of care available in the industry. Because of this we are able to provide everything from the most basic oral exam, to upper level performance floats, to complicated extractions and treatment of sinus infections.